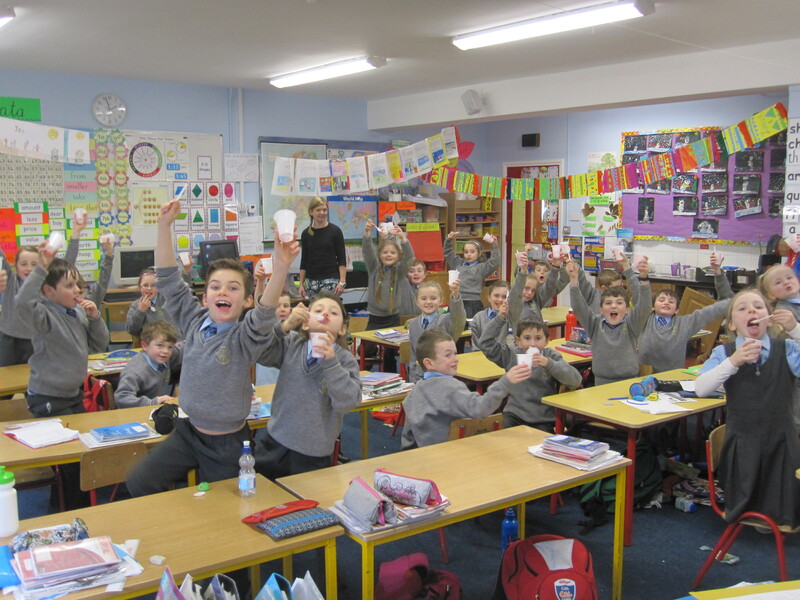 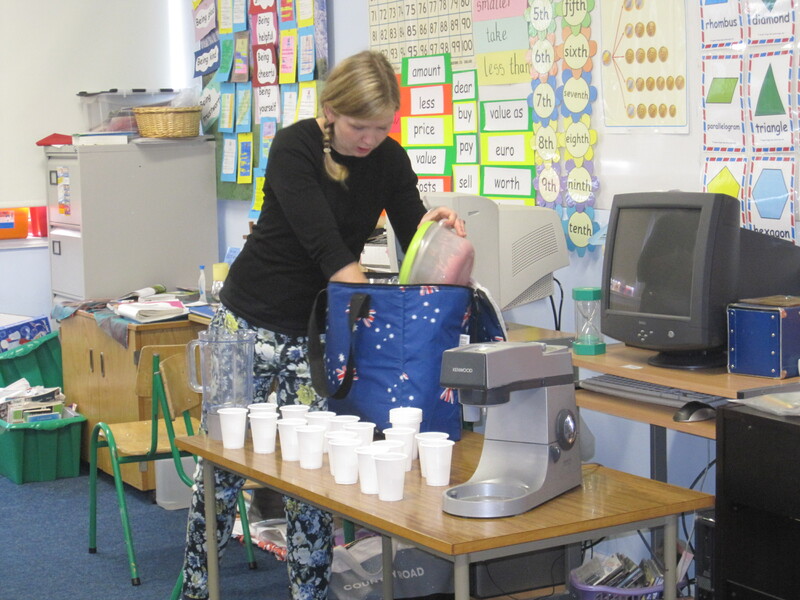 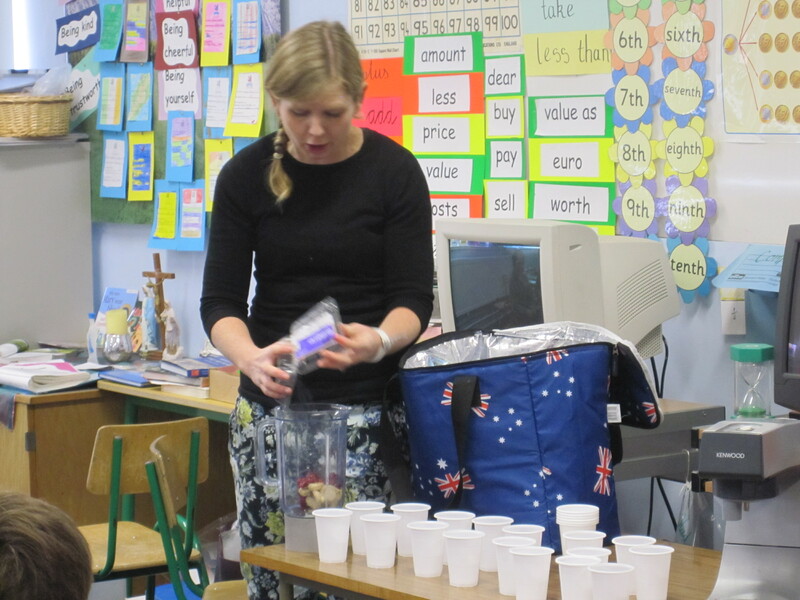 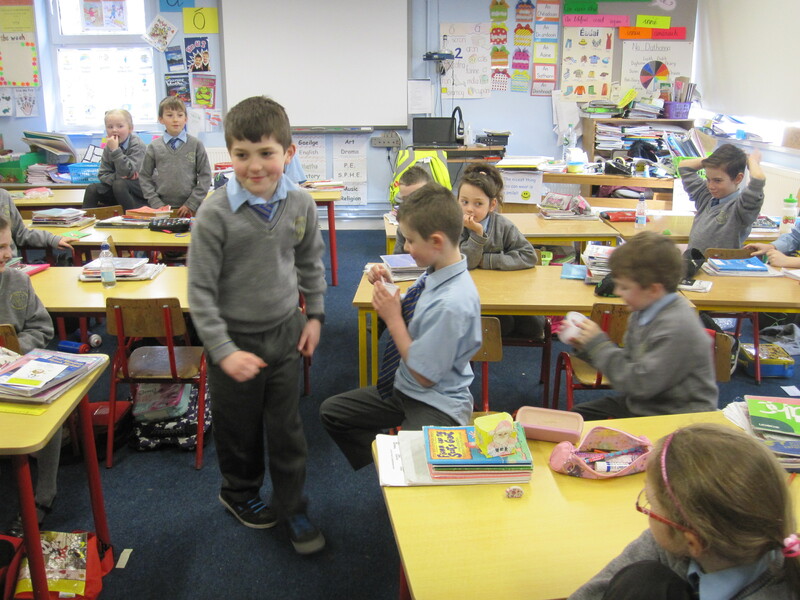 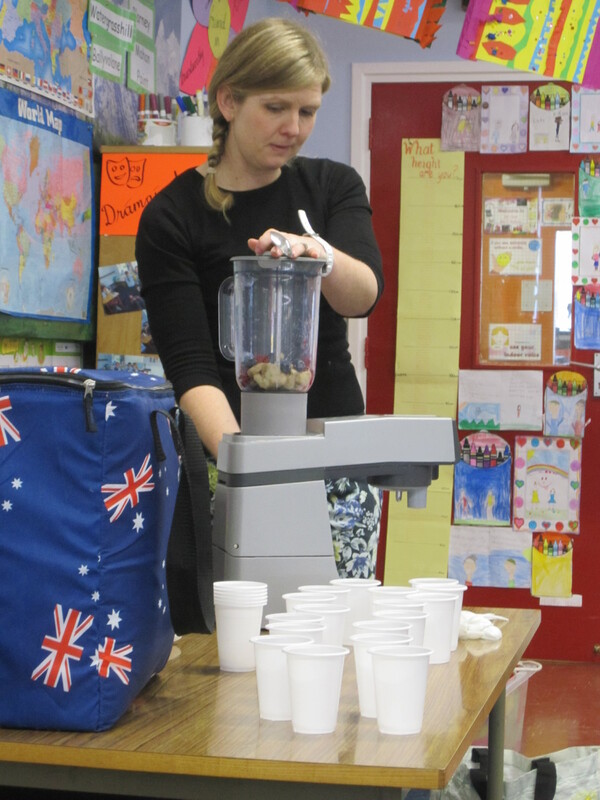 Alison from Project Spraoi, came into our classrooms today and demonstrated how to make Nice-cream. 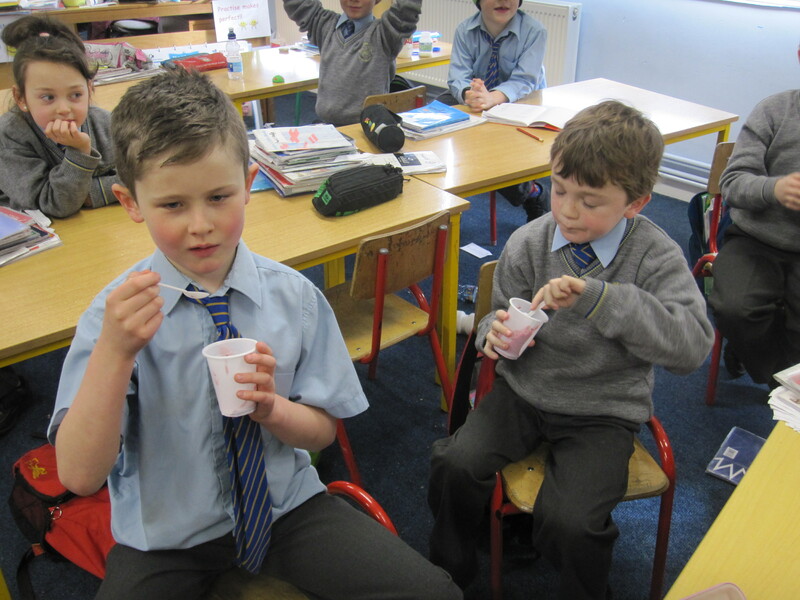 Nice-cream is the healthy alternative to ice-cream. 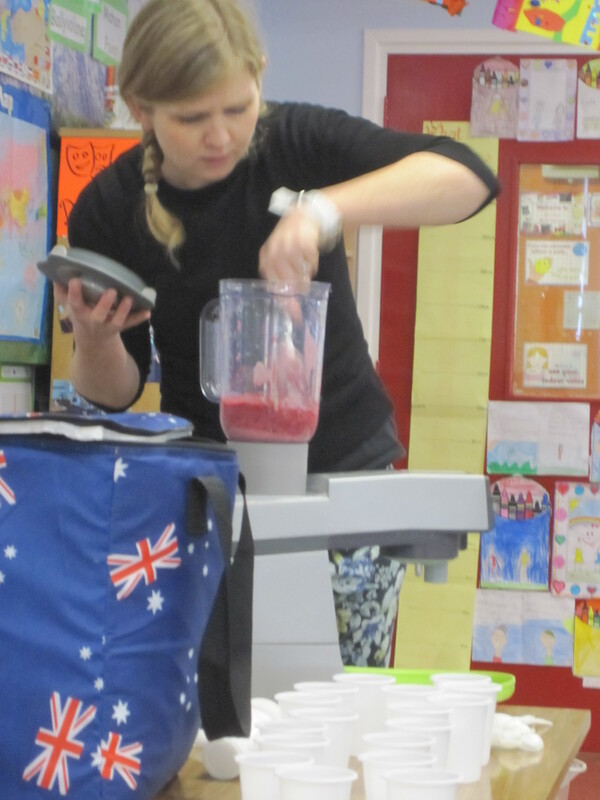 Place the fozen bananas, berries and yoghurt into the blender and blend until it is a nice smooth mixture. 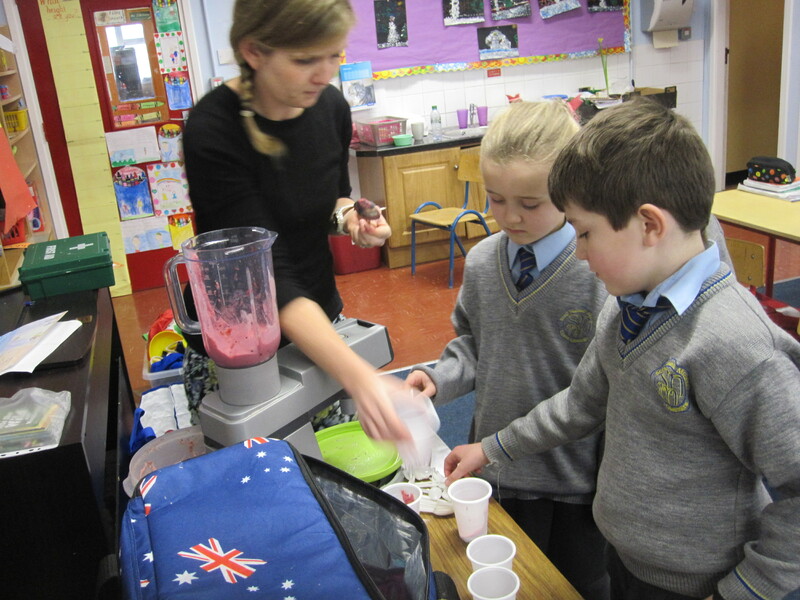 Nice-cream can be stored in the freezer.